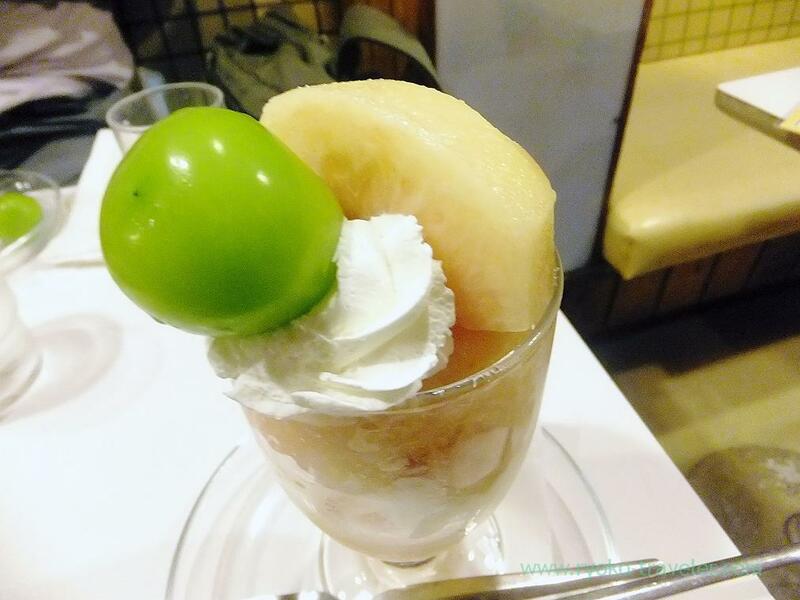 Following Frutas, I ate peach parfait at Fukunaga, too ! You know I ate peach parfait at Fruits Cafe Frutas the other day. Today, I have been to Fukunaga Fruits Parlor. Two holy place for fruits lovers ! Of course, I had to eat peaches there, too ! I got to there before 6 p.m. There were still many vacant seats. Truthfully speaking, I wanted to go there this Saturday. But I thought peaches will be sold out before the day. I also wanted to go straight home because it was still beginning of the week and I got tired working. But I thought if I missed this day, I’ll be unable to eat peach at Fukunaga this season. 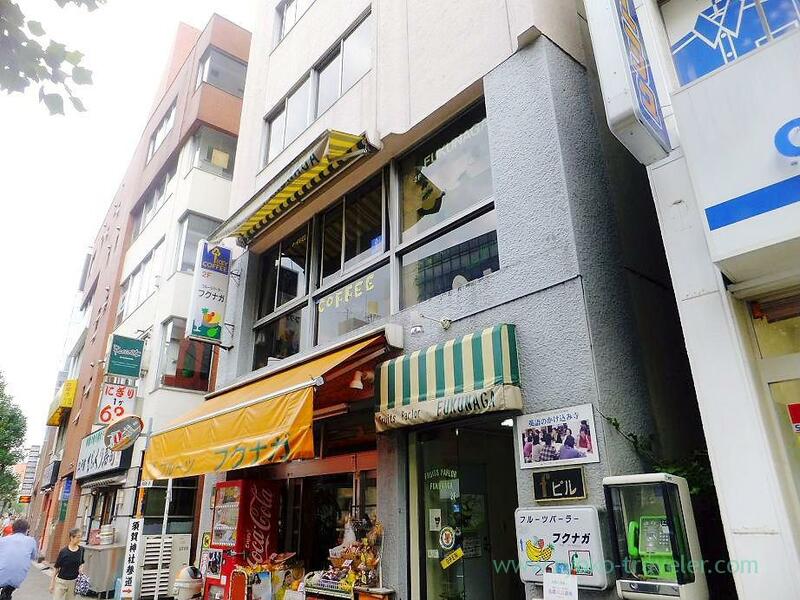 So, I managed to go Yotsuya-sanchome, the direction opposite to my home. By the way, plum was already finished serving this season. Plum and peach is being on the market at the same time. So, peach might be finished at any moment, too. 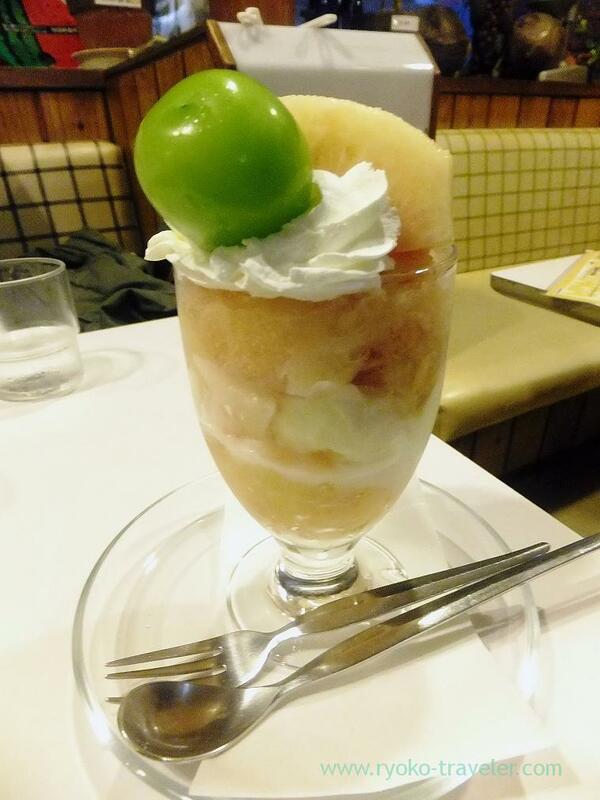 Of course, I ordered a Peach parfait (桃パフェ) 950 yen. I went to there just for peach ! Still, it was tasty enough. Huge muscat on it !! Shine muscat ? My acquaintance who I met at the cafe by chance said so. The sorbet was great. There remained much fresh. I intended to eat ramen near the cafe, but breads were not still sold out that day. So, I decided to eat night meal at there, too. I chose my drink hot coffee. 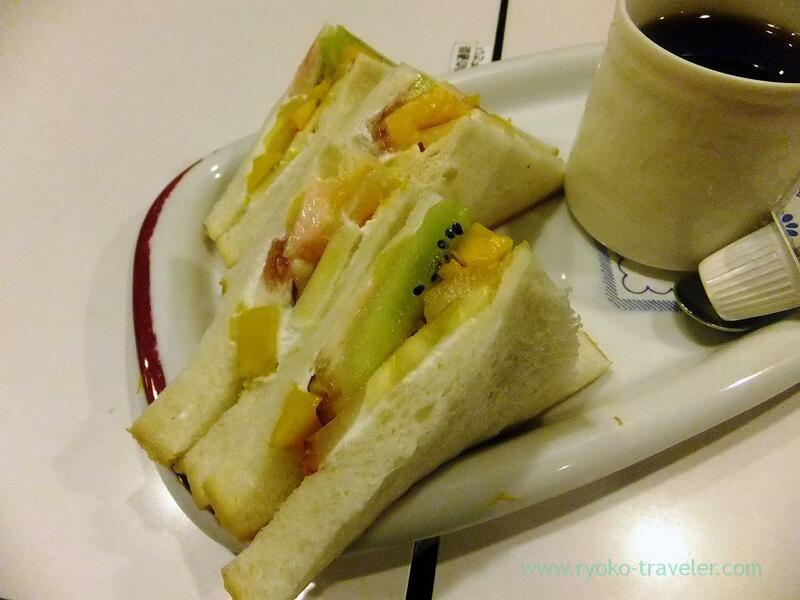 Basically Fukunaga’s fruits sandwich have mango, banana, kiwi fruit and pineapple. And also seasonal fruits. That time, it had fig that will be on the best season soon. It’s texture was like jelly and it was good. I could ate peach at Fukunaga and Frutas this year, too. So, I can welcome Autumn !